If you find that you need to replace the engine heads on your vehicle, you will learn that new engine heads can be expensive. You will usually have a choice between brand new heads and those that have been rebuilt. So, here is a comparison of the two. A rebuilt engine head has been completely disassembled and rebuilt using new components to replace the faulty parts inside. Rebuilt heads are usually considerably lower in price than new engine heads. However, although some companies do an excellent job of rebuilding engine heads, this is not always the case. Sometimes, rebuilders take shortcuts and don't replace parts that should be replaced or replace faulty components with used parts. So, before purchasing rebuilt engine heads, you should always do some research into the repair shop and find out about the quality of their work. Also, if you're considering rebuilt heads, make sure that you get an itemized list of new components that were used in the rebuild. With brand-new engine heads, you'll never experience any compatibility issues or subpar replacement components being used. Because brand-new engine heads are manufactured to meet or exceed the original manufacturer's specifications, you can almost always count on a quality part replacement for your damaged vehicle. The only drawback with new engine heads is the fact that they're so expensive. Sometimes, it's hard to justify spending so much money on new engine heads for an older vehicle—when rebuilt heads will probably last longer than the vehicle itself. So, if you're considering installing new engine heads in your vehicle, you should consider whether the age and value of your vehicle merits the purchase of new parts. There are many places to find and purchase rebuilt engine heads. 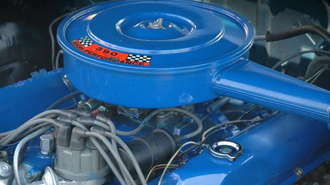 There are several excellent online retailers that sell rebuilt engine heads. Visit websites like RebuiltCylinderHeads.com and National Cylinder Head Exchange to find rebuilt cylinder heads for almost every make and model available. Both of these companies have good reputations for supplying clean and well done rebuilt heads. If you don't see the engine heads for your make and model listed on the website, simply send them an e-mail to find out about availability and price. Both of these websites ship to locations all over the country. Many times, local auto parts stores provide rebuilt engine heads as well. Although most local auto shops don't stock rebuilt heads, they can quickly order them and usually have them available for pickup within a few days. Using a local auto parts store will also allow you to find out about which rebuilt companies or re-manufacturers provide the best product. This also provides you an easy point of contact if something goes wrong with the part. Don't forget about junkyards in your area. You may be able to find engine heads at a local junkyard that are in still in excellent condition and need nothing more than a good cleaning. If you're able to find a good set of engine heads, you'll probably be able to save a lot of money this way. Here is a how to guide on how to replace the engine heads in your vehicle.